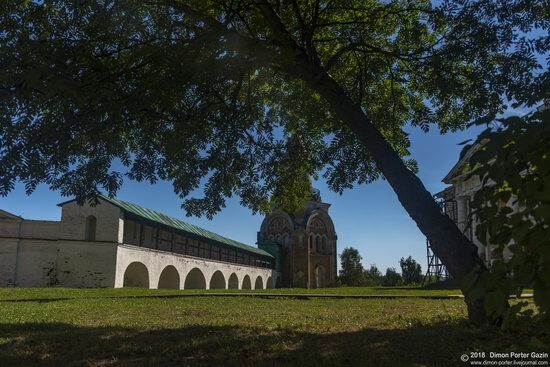 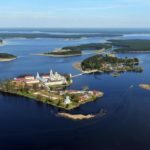 The Borisoglebsky Monastery in Torzhok, a town located 63 km north-west of Tver, is considered the oldest monastery in the Tver region. 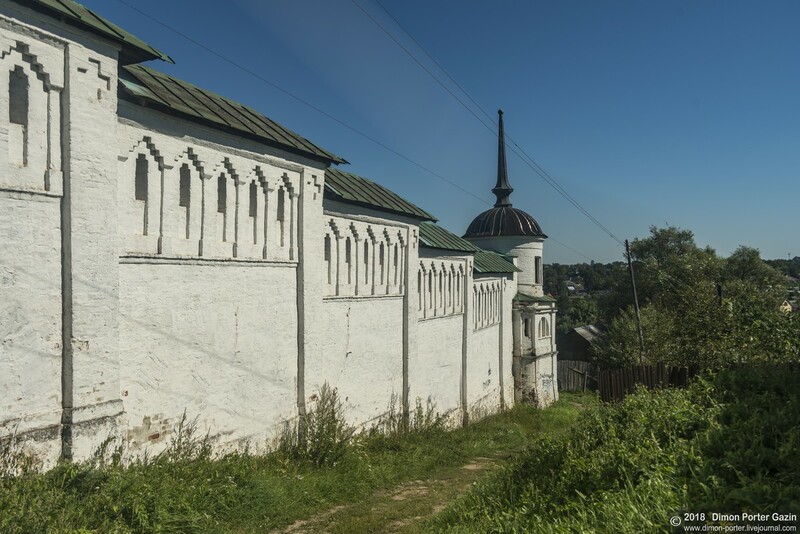 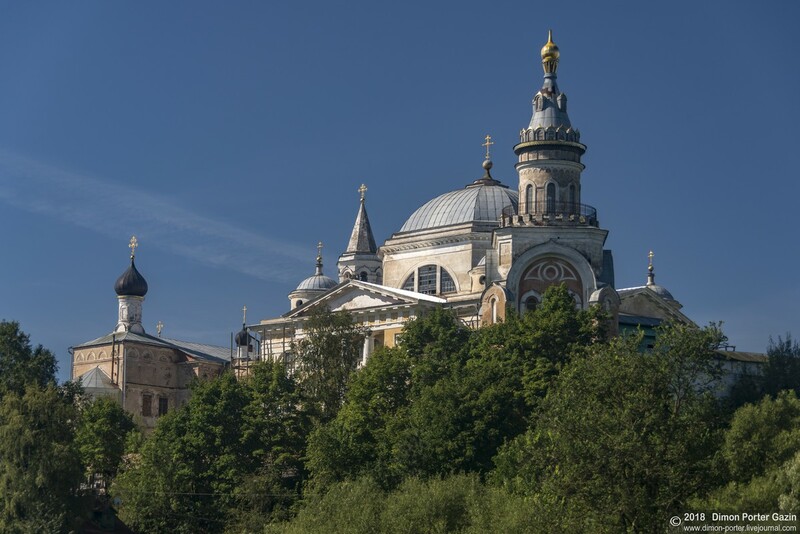 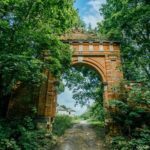 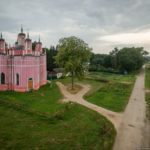 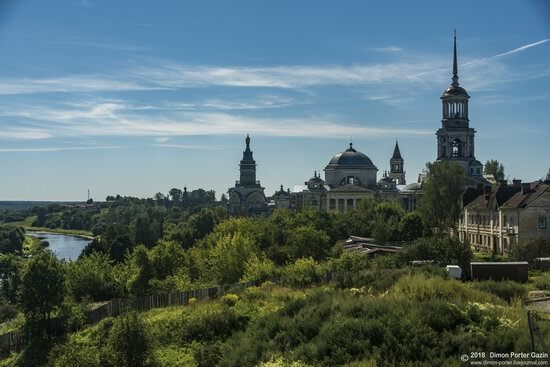 It was founded by the boyar Efrem, a former stableman of Kiev Prince Vladimir I Svyatoslavich, in 1038. 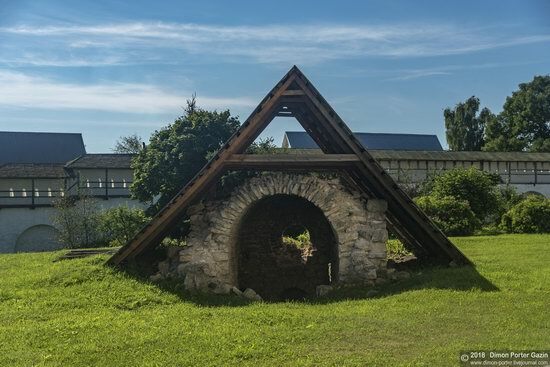 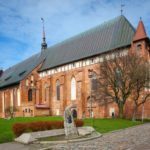 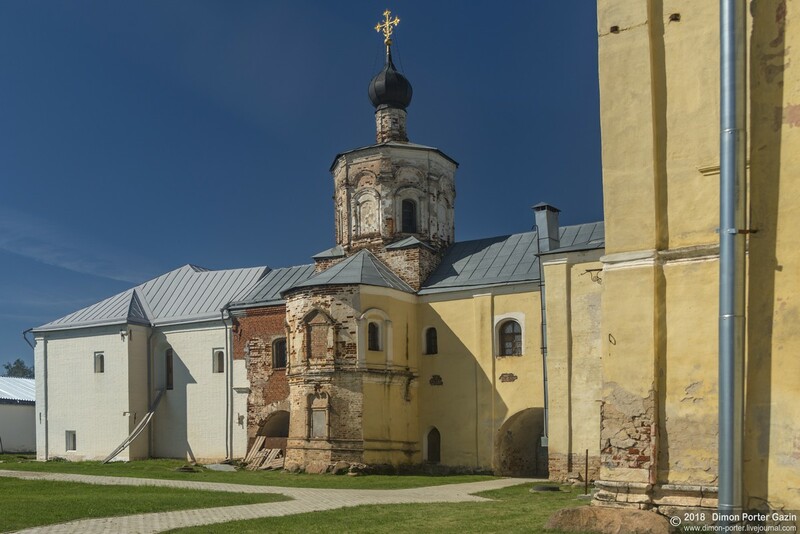 That year a stone church was built, named in honor of Boris and Gleb – the first saints of Kievan Rus. 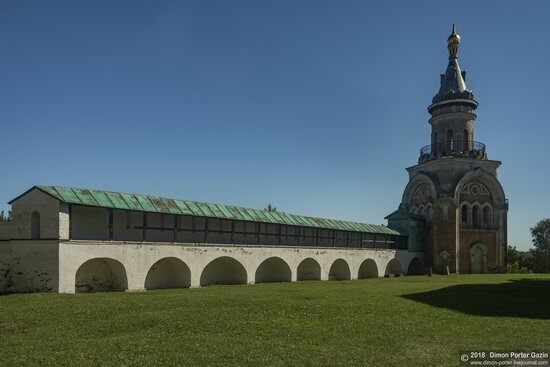 Torzhok on Google Maps. Photos by: Dmitry Gazin. 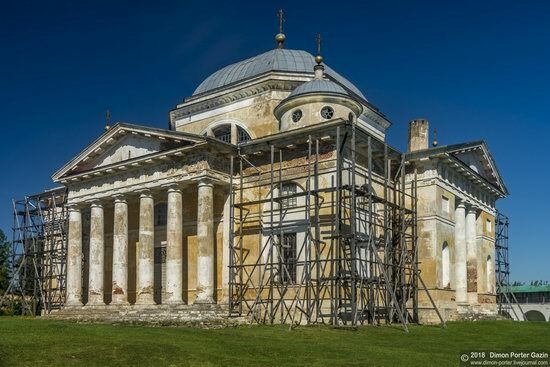 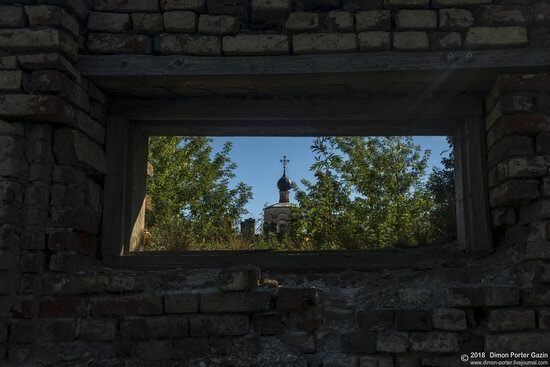 In 1607, the church was badly damaged when the Poles captured Torzhok. 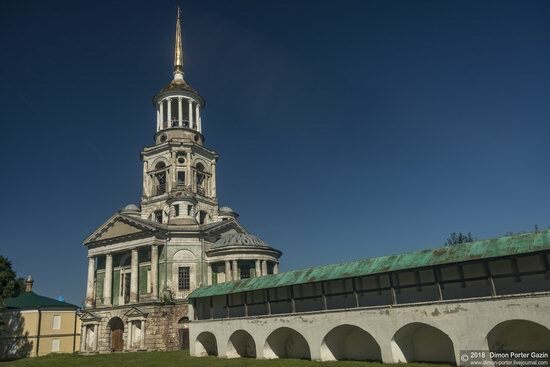 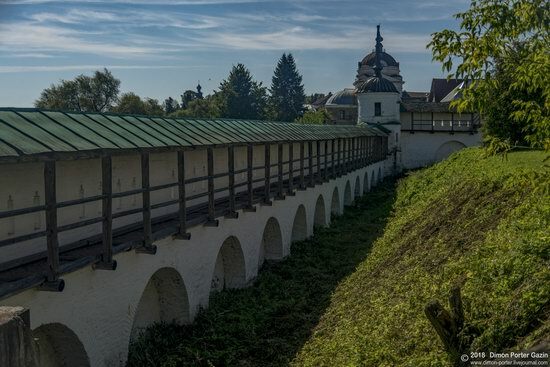 The fire of 1742 destroyed the wooden walls of Torzhok. 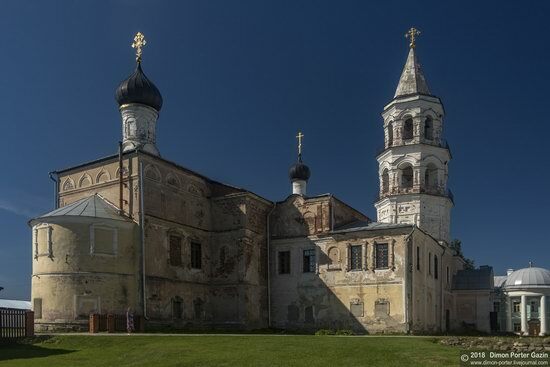 The revival of the monastery began in the second half of the 18th century. 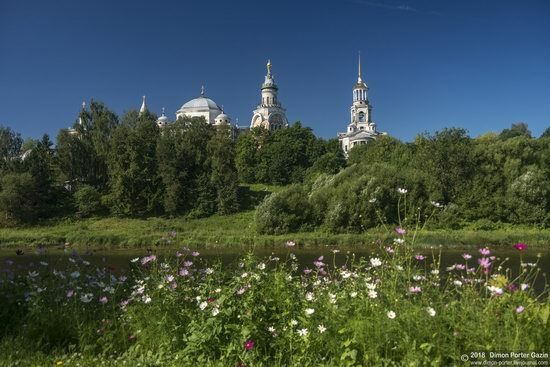 In 1785-1796, on the site of an old church, a new large cathedral was built – Borisoglebsky Cathedral. 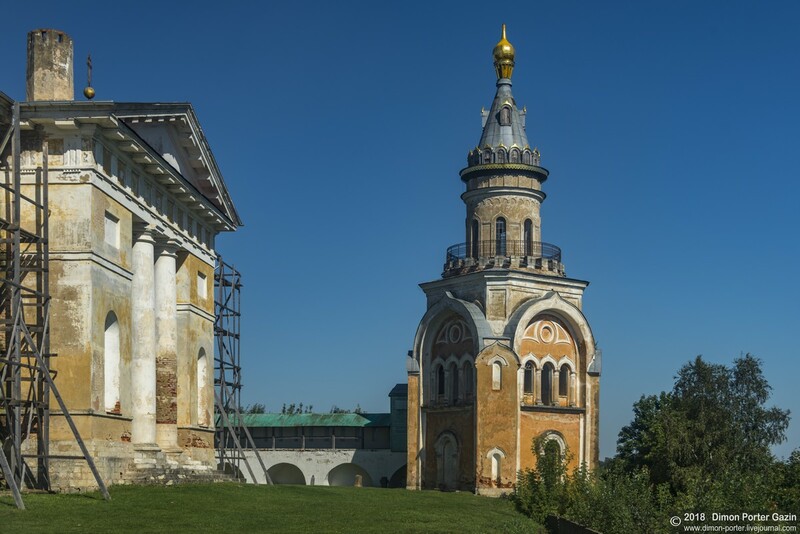 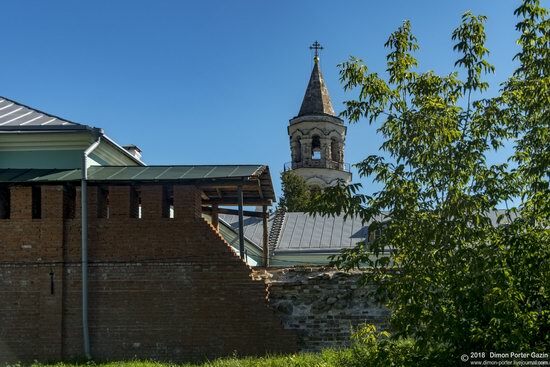 The gate church and bell tower of the Borisoglebsky Monastery (1804). 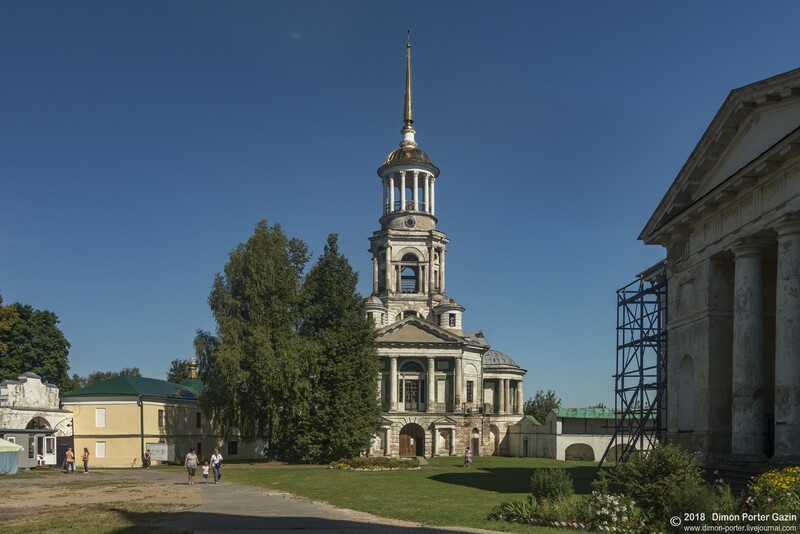 This multi-tiered bell tower, topped with a spire, towers over the whole town. 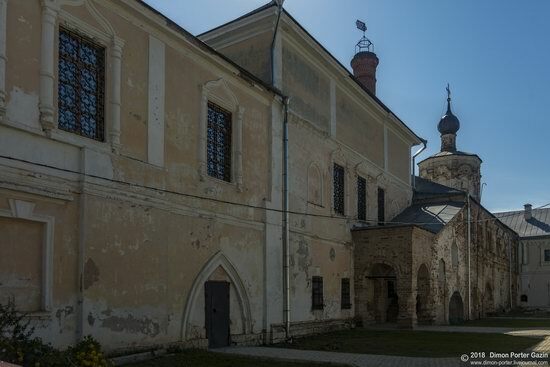 In 1925, the monastery was dissolved, and a maximum security prison was organized on the territory of the monastery. About 50 years later a museum was opened here. 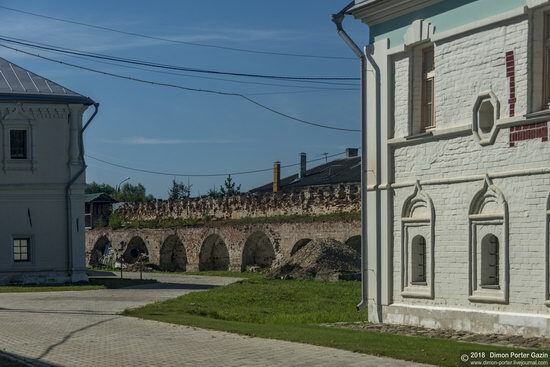 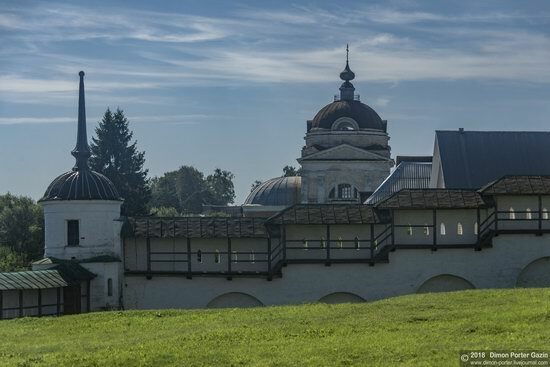 In 1993, believers returned to the monastery sharing its premises with the museum.